This week has seen a lot more action in the market across both fine and coarse fibers. 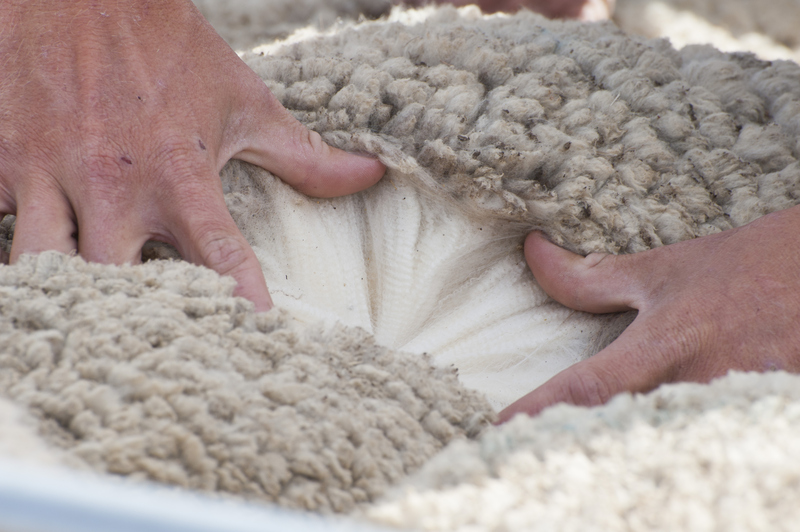 We saw confidence in coarse wool prices decline slightly this week, after an interesting increase after the Christmas break. The rise in the Aussie dollar didn’t seem to dampen the forward market. In the 19 micron category, six trades were dealt. Three trades were made for April, two were for 2230¢/kg and one was the first minimum price contract we’ve seen for many months. The May trade hit at the same price, while the October and November trades were agreed at 2140¢/kg and 2128¢/kg respectively. In the 21 micron category, five trades were dealt. Most of these were for April and May, the agreed price ranging from 2060¢/kg to 2190¢/kg. The odd one out was for October and agreed at 2060¢/kg. 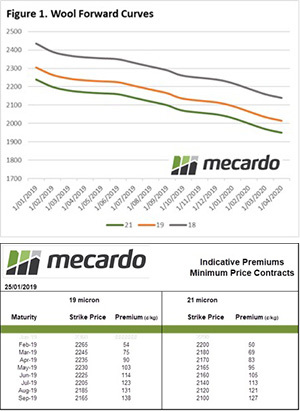 In the 28 micron category, three trades were dealt, two for May for 960¢/kg and one for June for 970¢/kg. Over the last two weeks we saw coarse wool bids close to auction levels, but this trend seems to be declining, as bids were below auction rates by more expected margins. We saw an upswing in the Aussie dollar of nearly 1.5¢, which would usually mean less activity from overseas buyers. It didn’t appear to hold back forwards sales this week, hinting that either further upward movement or supply is a concern.